HPE LTO-7 Type M Ultrium Bar Code Label Packs provide an easy-to-use solution to the aggravation of bar coding. 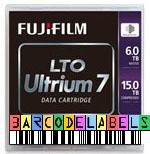 Under constant pressure to deliver quality of service with limited resources, the last thing IT managers should be worrying about is why their in-house bar code labels aren't working properly or whose turn it is to operate (or run) the departmental label printer. 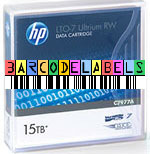 Each HPE label pack of consecutively numbered bar codes contains 100 data labels and 10 cleaning cartridge labels. 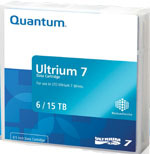 No two pack sequences are ever identical to avoid data integrity issues in archives. 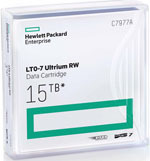 Finally, HPE Bar Code Label Packs have been fully tested to guarantee performance in demanding automation environments, so unlike cheaper alternatives, users can be certain that their backups will never be disrupted by bar code quality issues. 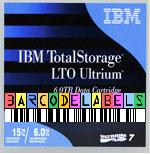 Ask about our custom sequence barcode labels for your LTO-8 Tape Library: Call us at 866 801 2944 or Click Here! 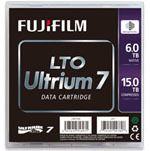 Ask about our FREE LTO-7 Type M Barcode labels with purchase of 20 or more LTO-7 Tape media (Any Brand) Click Here!